Please notice that this product is an upgrade product. TO ORDER THIS PRODUCT YOU MUST HAVE A VALID SampleRobot Single-X / Volca-X LICENSE. Due to technical reasons the download activation process can take up to 24 hours. 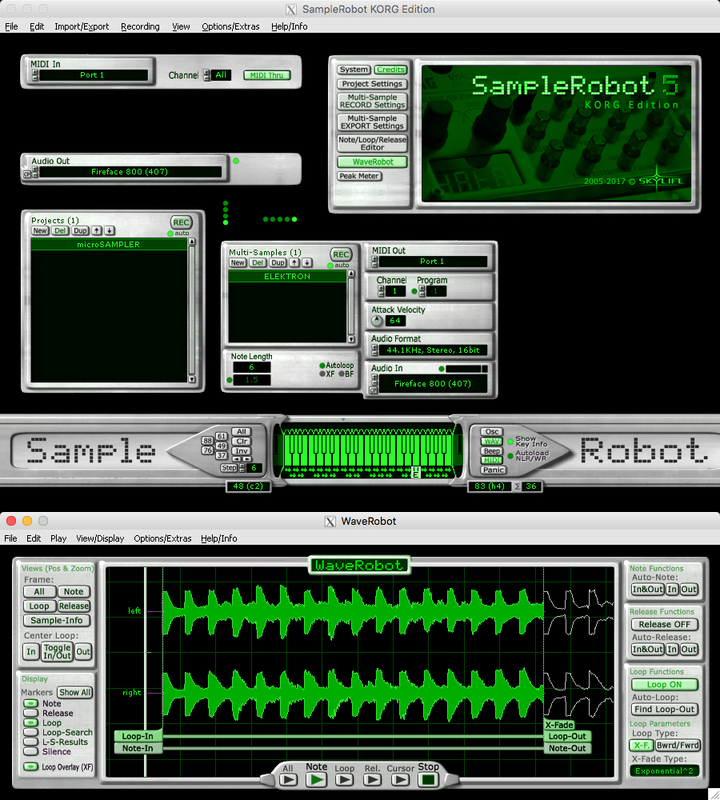 With the SampleRobot 5 KORG Edition you can easily do automatic sampling of acoustic and electronic instruments and export them as various KORG sample formats and as Wav format. Remote control your MIDI gear and sample all sound nuances fully automatically. It was never easier to build professional-sounding software instruments. The SampleRobot 5 KORG Edition is very easy to use. Beginners can achieve excellent results with just a few mouse clicks. System requirements Mac: Apple Mac, OS Sierra or newer (10.7.-10.12.+ also supported). SampleRobot Mac OS X installation uses Wine framework. System requirements PC: Windows 10 / 8 / 7.